Rethink Autism is hosting a free webinar at their site. The webinar will include live chat with one of their featured therapists, Lin Chong. She will be on hand to answer questions and offer suggestions about having your child participate in s ocial events. Register for a webinar session now by clicking a date below: Mon, Sep 28, 2009 7:00 PM - 8:00 PM EDT Tue, Sep 29, 2009 12:00 PM - 1:00 PM EDT. Autism Blog Author's Note: Rethink Autism is a business offering ABA based home therapies. According to their mission statement (click on first link), they try to keep the therapy affordable for families. Speaking of affordable, they offer sample lessons plans on their site. Titles of these plans range from "Imitating a Peer," to "Solving Single-digit Math Problems" to "Helping Others." Happy Birthday Faces of Autism! Happy Birthday Faces of Autism and Happy Birthday C! Intermission time for my series! I interrupt my series on movies, documentaries, to post about an even more direct portrayal of autism--autism as discussed by parents who have children with autism spectrum disorder (ASD) or individuals on the spectrum. Sometimes it's just best to get the story of ASD straight from the source. A year ago on September 23, my friend Ms. Casdok launched Faces of Autism, a great site that features a description of a person with autism, a photo and most often a link or two. It's a blog that features a diverse array of people. If you go there, you will see that both genders, all ages, all ethnicities, and all parts of the spectrum are represented. Twins and even a set of triplets have been featured. My good blogger friend launched the blog just in time to celebrate the birth of her favorite person in the world--her son, C, who is 21 today, September 24. His photo, along with one of her little nephew, kicked off 2009 as her New Year's Day post. As for me and mine, I am proud to say that my guy, C1 (then described as the Vowles Viking) was in her first batch of posts as seen here. Ms. Casdok will post multiple times about the same person--particularly on a person who is a growing, changing child. That said, I'll have to get busy and send in another photo (will link to it here when possible) because my fourth grader has grown a lot since the first day of third grade, when the last photo was taken. Anyone interested in submitting a photo should submit it via email to her address as listed on the right top hand corner of her blog. I hope that parents or individuals that see this will consider submitting a photo to her site. It's great to see who is all out there. As for movies, Ms. Casdok has another site called Mother of Shrek. She has a great list of movies at that site that are related to autism. You can see the list here. The post was originally done April 2008, but she has updated it to include 2009 films. P.S. The Faces of Autism launch date is easy to remember because September 23 is my birthday too! I have put together a free teleseminar series for busy parents. For my next interview, I am honored and pleased to bring Suzy Miller to you!! I heard an interview Suzy gave on ADD, ADHD, and autism and was so struck by her approach that I simply HAD to have her as a part of the series! Suzy looks beyond the labels and limits that are placed on our kids. She looks at what is possible for our kids and looks at their INNER BRILLIANCE! She is the author of Awesomism: A New Way to Understand the Diagnosis of Autism. Suzy presents to international audiences and writes for publications in the areas of energy awareness, new children, the power of positive communication and advanced "education" systems. She started Blue Star Brilliance in 2005 as a company dedicated to advancing the consciousness of adults regarding the gifts, needs and potential of their children. At least 90% of today's children are experiencing and offering higher levels of awareness. Some are offering that consciously, some spontaneously participate without consciously knowing what they are doing and some are being bumped around by these new energies without much awareness at all. Suzy believes that through compassion and awareness these children can learn about their gifts and experience the energy in a whole new way. Suzy is committed to breaking the molds that bind us to a limited perception about ourselves and our children. The teleseminar is Thursday, September 24th at 8PM EST (United States). " Note from Autism Blog author: I am not always able to create a post when someone emails me about a product, book, event, directory, event, etc. However, this particular teleseminar seems to embrace the same attitude about positive thinking and autism as I do. I believe my readers, many of whom are parents, will benefit from this opportunity. To view, one must register (scroll down to yellow box at the bottom of the page) with your name and email address. I'm not sure I'll be able to watch this because I'm in the midst of planning a local, September 26 picnic for autism families. However, I'm hoping at least some of my readers will be able to benefit from the seminar. If you get a chance to see it, please post your opinion in my comment section. The interview will last 45 minutes with 15 minutes set aside for a question and answer session. If registered at the site, one can get a second chance to see the seminar if unable to see it aired live. Would you drive an hour to see a particular film you are interested in on the big screen? I did. A little more than a week ago I drove from the small city where I live to a bigger city to see the movie Adam. It's a romantic comedy about a man with Asperger Syndrome (Hugh Dancy) who has a relationship with a neighbor, Beth Buchwald, (Rose Byrne) who is not on the spectrum. Adam was released by Fox Searchlight Pictures, which specializes in Indie and British Films. The film was not widely distributed, which explains the necessity of my hour-long trek. Was the film worth the trip? Yes. My female chic flick buddy and I both liked the film. It had enough strengths to make the drive worthwhile. Dancy, who apparently didn't know the film was a "rom-com" when he accepted the part, gave a great performance as Adam Raki. What I liked about Dancy's depiction of Adam is that I felt that I saw the character as a person first and Adam's disorder, Asperger Syndrome (AS) second. Of course that might of had as much to do with the script by writer and director Max Mayer as it did with the acting. In an interview (as seen here), Dancy said he liked the fact that AS wasn't mentioned or even hinted at immediately in the script. I liked that fact too. Viewers were given a chance to know Adam as an individual before the label was applied. Another big strength of the film was the soundtrack. It had a lot of smooth, inspiring songs that were gentle on the ears. In other words the soundtrack was sensory friendly, which is nice for viewers on the autism spectrum who may have sensitive hearing. The film's biggest weakness is its ending. While I liked the fact that it wasn't a typical Hollywood ending (again, this is an indie film), I wasn't sure I believed it. I won't reveal everything, but I will say the character made a huge transformation (that we didn't really get to see) in the span of a year. All viewers are able to witness is what happened that might have inspired a humongous change in Adam. In a year's time and in what seems like one impossible, gigantic leap, Adam goes from being a person who has always been dependant on someone else (the character we see for most of the film) to someone who has adapted to life with AS and is living as an independent, successful adult. Don't get me wrong. I know adults with AS who have adapted and are successful. What I'm saying is that I think I only would have believed in Adam's transformation if I would have been actually able to see the progress as it happened bit by bit. All the things I saw him struggle with like being successful on the job or correctly reading social cues just seemed to disappear as if by magic. A few characters in the film, mainly Beth's dad, even saw Adam as childlike (an aspect viewers in the autism community may become uncomfortable with). At the end of the film, it is apparent that all the characters around him respect and accept Adam as an adult who has adapted. Is it possible for someone to go from the developmental age of say nine or ten to the developmental age of nearly 30 in a year? I'm not so sure about that. A nit-picky point was that I was disappointed in Beth's character. Rose Byrne aptly portrayed her, but I was expecting a character that was a little bit quirky. The tagline said "a story about two strangers. One a little stranger than the other." I guess I incorrectly inferred that Beth would at least be a little bit odd. Instead Beth turned out to be a teacher and aspiring writer who didn't seem the slightest bit quirky. Oh well. There already is a romantic movie about Asperger Syndrome with two quirky characters. The title is Mozart and the Whale. I'm thinking the movie Adam should have been called Einstein and The Miracle Worker instead. Extra Notes: Although I ended the review on a slightly snarky note, I really did like Adam despite the flaws. I think the film is worth viewing. In addition, I'd like to point out that Adam won the Alfred P. Sloan Prize for "an outstanding feature film focusing on science or technology as a theme, or depicting a scientist, engineer or mathematician as a major character" at the 2009 Sundance Film Festival. "What I Learned as a Goonie, as Rudy, and as a Hobbit Named Sam!" Note: This is my kick-off to my series on films and documentaries. Although this post doesn't apply directly to autism, I think most of my readers can relate to the positive message delivered by Sean Astin in relation to the top three characters he has played. 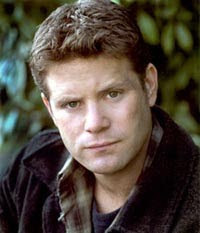 Last night I had the pleasure of going to see a lecture by Sean Astin, the actor whose heartfelt portrayals of Mikey (The Goonies), Rudy (title character) and Samwise Gamgee (of The Lord of the Rings trilogy) has touched millions of people. The event drew 750 people and I was thrilled to get there early enough to sit in the second row. Most were college students, but there were a few of us that were Mr. Astin's age or older. Although the lecture was all about leadership and not related to autism, I feel parents, individuals with Autism Spectrum Disorder (ASD), and those caring professionals who work can relate to the message he delivered. This is definitely one of those moments where one can take lessons learned from one aspect of life (academia) and apply it to another (being a leader in the autism community). The major point of Mr. Astin's lecture was how the qualities of his three top characters (he has played many parts) could be tapped into to become good leaders. What he did admit to was that it's often difficult to figure out how to apply those qualities in leadership scenarios. This perplexed me as well to some degree. After thinking about it for awhile, I saw how parents and other people (there are majors in special ed, speech pathology, psychology, social work, and physical therapy at CMU), could tap into the qualities of those characters to be effective leaders advocating for the cause of autism. Just because I'm still a little perplexed, I will, with as much humility as possible, use my own experiences to illustrate how the qualities can be applied. It's not that I think I'm noble, it's just that I'm tapping into what I know. Speaking of humility, the down-to-earth Mr. Astin had it in spades, along with a pleasant sense of humor. Of his character Sam, definitely the most famous of the three, the actor said he always is uncomfortable when asked if he is anything like Sam because he feels that "no answer is good enough," and that the qualities that combine to create the amazing character of Sam are "fictitious and unattainable." It might just be impossible to be exactly like Sam, but we can try. I always saw Sam, my favorite character in The Lord of the Rings trilogy, as an unlikely hero. He was just a tiny humble, hobbit who, unlike Frodo, wasn't "the chosen one." However, if it wouldn't have been for Sam supporting Frodo, then Middle Earth probably wouldn't have been saved. Only together did they manage to make it to Mount Doom. At one point Sam carried the worn out Frodo on his back. In all Sam's semblance of character said something fierce about the importance of perseverance, friendship, loyalty and bravery. As an advocate for individuals with autism I can definitely relate to Sam and his quest. As a quiet, small person, who is only 5'2", I never saw myself as a leader. However, one day I found myself leading a group of two hundred people on a memorial walk on a sunny afternoon in April (autism awareness month.) The walk was for an eight year old with autism whose funeral had been on Christmas Eve morning. I won't say I'm anything like Sam, but I will say I had to summon up all my "noblest qualities," which included a Sam-like bravery and loyalty (felt for the boy's parents) that I had within me to accomplish the task at hand. I've always been shy, but I realized, that (like Sam, though I didn't think of him at the time), I could set my fear and doubts aside. After all, it wasn't about me, it was about the eight year old bundle of joy that we lost. The boy impacted many lives, and that was illustrated by how many turned out to remember him. As for Rudy, it has been a long time since I saw the film, released in 1993. I remember that the story was inspiring and that I got the chills at the end of the film when Mr. Astin's character attained his goal (against great odds) of making a play on the Notre Dame Football field. Rudy, (who Mr. Astin said had a learning disability) was a guy who was told he couldn't attain his both his educational goal of getting accepted to Notre Dame and his athletic goal of being accepted as a walk-on on the football team. However, he accomplished them anyway. Of Rudy, Sean said that "everyone has a right to be educated." Of the three, this is the role that I think parents of individuals with autism can most likely relate to. We all want our children to be educated and to be treated fairly. I especially noted this when I saw how popular the Individualized Educational Plan (IEP) help desk was at our autism resource fair. People drove as far as five hours from the upper peninsula to consult our IEP expert. Right now, although there are wonderful autism schools in urban areas like Chicago, there are vast rural areas that lack the appropriate resources to properly educate a person on the spectrum. It's going to take a lot of leadership (and noble qualities!) to accomplish the goal of meeting the educational needs of children with ASD in rural areas. As for higher education, I realize that not everyone on the autism spectrum will be able to go to college, but I think we'll see more people with ASD attending colleges in the future. I just hope that higher education will be ready and willing to accommodate the probable influx of people with ASD who will seek out degrees. College educators and administrators should realize that like the character of Rudy, people with autism and Asperger syndrome and others with disabilities, can attain similar goals against similar odds. In my opinion, we have a long, long way to go in terms of autism and education. This includes elementary education, secondary education and higher education. Like Rudy, we need to ignore the naysayers, set goals and then obtain them. Last but not least, we have Mikey, the adolescent from the movie The Goonies. This was the first major role that Mr. Astin had. He said the best aspect of playing Mikey, aside from the water slides, was going through the gates of the studio everyday to work "on the 50 million dollar film" and seeing his name at the top of a display. (Any twelve or thirteen or thirty year old would be excited about that, I believe). Of his character, he mentioned Mikey's "burning curiosity" and "reverence." In particular, he mentioned the reverence that Mikey had for "One Eyed Willie," the pirate who left the treasure behind. Like Mikey, professionals and parents, are also looking for treasure. Our treasure is called progress. Most of us are overjoyed when our charge with autism accomplishes a long anticipated goal like being able to ride a bike, communicate a need, or even make a friend. However, we all must have the burning curiosity to figure out how to reach the individual with autism. We must find out everything we know about the topic, and also try to find out everything we can about the individual we are working with. However, it most important we have reverence for the individual with ASD while we seek out that treasure. We need to treat people with autism more like Mikey treated 'One Eyed Willie' and less like 'Sloth' Fratelli's family treated that rather unusual character. In all, to me those three characters that Mr. Astin Played were noble individuals who achieved a goal that affected the quality of life, not only for themselves, but for the characters around them. Middle Earth was saved, The Goonies were able to stay in their homes, and Rudy inspired a stadium full of fans at a major football school to cheer him on. 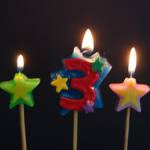 I wish to wish a belated Happy Blogging Anniversary to Harold Doherty from Autism in New Brunswick. Blogging is an endeavor that requires creativity, vision and passion for one's topic. Being in a two-blogger household, I realize how challenging it can be to keep a blog running for an extended period of time. In that sense, I can really appreciate the fact that Harold has been able to regularly update his for three years. I really enjoyed Harold's third year anniversary post, and I hope everyone, despite what your approach to autism might be (biomed, neutral, or neurodiversity) will enjoy or at least appreciate it too. If you are unfamiliar with Harold's blog, one only needs to consult the pledge found on the top right hand corner of his blog to become aware of what his views towards autism are. Speaking of belated, I wish to extend a belated thank you to John from Special Needs in Munchkin Land for this award that he granted me back in June. To see what the award is for and what it means please visit here, where John has posted both the original (in Spanish) and translated explanations. Basically it is an education award. In terms of creativity, I found the most creative bloggers tend to attract a lot of awards. John, who most recently was granted The Golden Heart Award, is no exception. I'd like to pass my award, "Compromiso Educativo," to all of the dads whom I highlighted in this series: Justin Waterman, "Ryan's Dad," Michael Lorenzen, Jon Gilbert, and Harold Doherty. I also grant this award to Dan E. Burns, who wrote Saving Ben. I'm expecting the book in the mail any time soon. Although this is the last post for my series on creative dads, I will post a review of his book when possible. Note: My upcoming series will be focused on feature films and documentaries. Note: This excerpt from Jon's Booklet, Same, Child Different Day: One family's experiences during the first year after a child's autism diagnosis is a follow up to the previous post that is part of a series on dads and creative storytelling. I think I lot of us parents who have children on the spectrum can identify with this story about a doctor's appointment, a waiting room, and an unfriendly staffer. Last year we visited a pediatric eye clinic in Williston, Vermont which I have to assume is staffed with at least minimally-trained health care personnel. It was time for Nolan and our four-year-old Madison to have their exams and the office is a solid two hour drive from our home in Rutland. For even the most patient child, this can be a long trip. So when we unloaded and found our way into the 'play' portion of the waiting room, the little ones were ready to unwind. Nolan can get rambunctious and loud to say the least and this event was no different. When it came time to bring each of the little ones in for their pre-checks, it quickly became obvious that we should handle the observations one at a time. Lori and I were trying to be courteous to the staff since we know how he can get, so she and our older daughter took Mad in first. The office professional made a quiet comment about Nolan's clamor, but at the time I found it innocent; I don't even recall all that she said. The doctor drew the straw that would award her Nolan and me, and we followed her into a spacious office. He was rattled and didn't care for the dark, but the Doc was patient and assured me she is familiar with Autistic kids. This was obvious by how quickly and smoothly the first check went, even though we struggled a bit to get the dilating drops in my boy's eyes. The Doc then sent us into the waiting room to let the meds do their job for a half hour or so. Nolan was back to himself in no time; not out of control, but probably a little intimidating to anyone outside looking in. The staff member who had greeted us even came by to close the door to our section of the room; a bad omen that might explain why the little girl who wanted to come in with us either would not or could not. After the drops did their job, each of our 'teams' took turns visiting with the Doc and she told us when she'd like to see everyone back. "I'll need to see Madison in a year, and since his eyes are good, we'll give Nolan a break. We'll see him in two," she told us. "You mean, you'll be bringing him back to the office?" asked the staff lady. I thought she was joking." Yes," I told her. "As a matter of fact, I'll be leaving him in your office." I was grinning; she wasn't any more. "Well, call ahead," she chirped. "I'll take that day off." Maybe I'm just Mr. Innocent and wouldn't want to think that someone was being cruel on purpose; especially not someone in the medical profession who has seen all kinds. I shrugged it off. Apparently, she had been serious and was under the impression that we are raising a misbehaving child. As we were donning our jackets, she came up behind me sheepishly and said, "I am sooo soooory. I had no idea he was Autistic." Not 'was'; 'IS'. It didn't go away since we got to the door. And had someone queued this ignorant woman in, because we did not. In typical 'Jon' fashion I only said, "Yes, he is." I didn't ream her out; I didn't scold her or call her a name or even imply that she was an ignoramus. I just let it go. Maybe I'm sick of it. Maybe I didn't see the point. Instead, we talked about Autism t-shirts that explain the condition and the dumb things some people can say. I bit my tongue. Okay, here's the scoop: Nolan is a little boy who deserves to experience everything you do: restaurants, playgrounds, malls, and even doctor appointments --- where you would think the most seasoned, trained and compassionate of all people hang out. I don't think I'm going to get him a t-shirt that labels his autism. Instead, I think there's a market for a better shirt; let's try: I'm insensitive. I have no excuse."